Tiny, Mobile, Or Studio Home? In our changing, more globally conscious, and, for many, economically pressured times, material minimalism and ‘less is more’ thinking is decidedly in vogue – and this is particularly true as respects our housing choices. Reducing our material footprint has many advantages, and the way we house ourselves is a principal factor determining the personal and collective mark we make on our planet, potentially leading to sprawl and ecological harm, or not. Beyond improved ecological sustainability for us all, at a personal level material downsizing and the move to intentionally smaller and lower-cost homes can offer reduced stress, greater freedom, and even new happiness. In the latter case, this is through the ongoing opportunities for attentiveness, deliberateness, creativity, and joy from intentional or intrinsic living, qualities that small homes naturally and often unexpectedly foster. 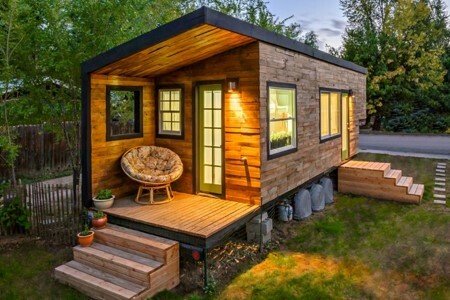 In the move to smaller, more intentional living spaces, and leaving aside shared housing, three main strategies dominate – tiny homes, mobile homes, and studio homes. All have an appeal to those of us wishing to downsize, rightsize, or deliberatize the space we call home. But what are the relative advantages and disadvantages of each approach? 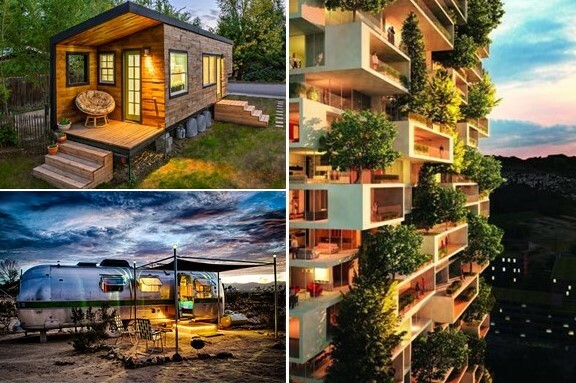 To explore this question, I’ll provide a brief overview of tiny homes, mobile homes, and studio homes, three housing options that similarly emphasize smaller material footprints and generally foster or require more intentional living. But perhaps more importantly, I will then provide a framework for thinking about these and other approaches to the way we house ourselves, perhaps helping and inspiring you to examine your own personal options for life that is more deliberate, created, joyful, and sustainable. You are probably aware that a “tiny house” movement is afoot across the developed world, and has been growing rapidly in popularity and scope since the Great Recession of 2008 (see Tiny House Movement).